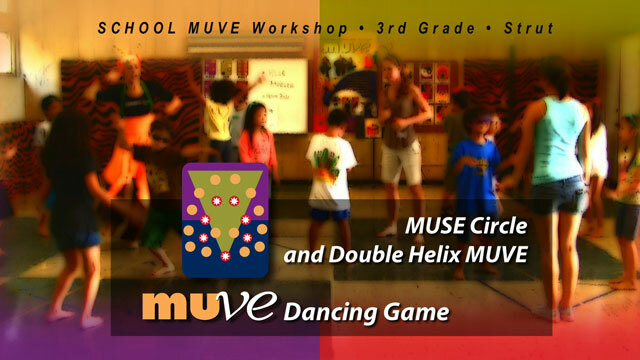 Muses rotate on “inner” Muse-circle on the Dancing Grid clockwise. The other dancers move on the “outer” circle counter clockwise. All players move one position per “Move” Call. 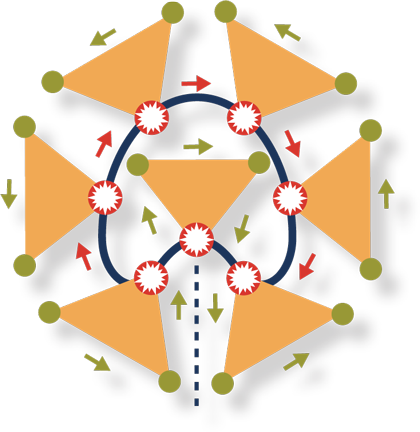 This results in the creation of new combinations of teams with each Call. This game requires attention and keeps everyone on their toes. 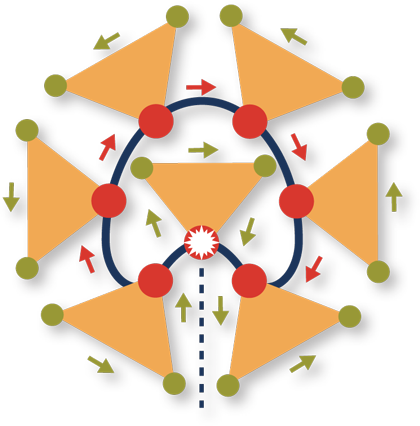 There are no rotations within the Triangles (Huli Huli). If the Muses stay stationary you have a Single Revolution. Now the Muses see all the Dancers moving on by, in and out of their individual Triangle. All dancers get to experience each Muse. 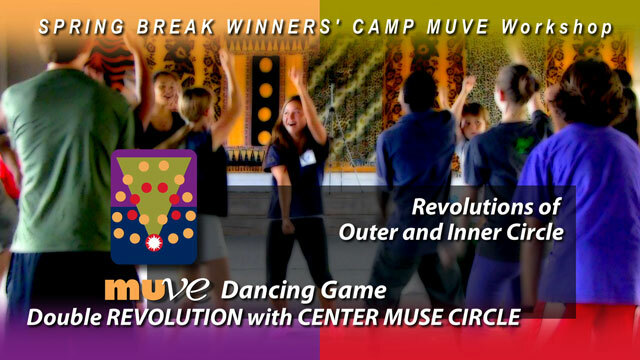 For a Double Revolution with a Center Muse, movement patterns are the same as above, but all players follow the central Muse instead of the individual 7 Muses on the inner circle.